The former Wham! frontman passed away peacefully from heart failure aged 53 on Christmas Day (25Dec16) and countless stars have been paying tribute. Culture Club singer George, who rose to fame in the '80s like Michael, posted his condolences on Twitter not long after the news broke and fans have reached out to comfort him, though he was quick to correct one user who called Michael his "friend". "I'm sure George's closest friends would not consider me a 'friend. It's true, George and I never got close. He was my competition, my peer," he poignantly wrote. "It was only in recent years that we actually spoke. I hoped he would rise up and become strong again and fill our lives with more music." 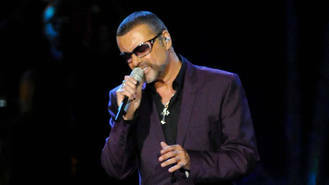 When the Twitter user replied asking George to simply say a prayer for the late musician, he promised he'd dedicate his morning practice of gongyo, a term used in Buddhism, to Michael. Queen guitarist Brian May has also spoken out following the death of Michael, who previously performed with the band in 1992 as part of The Freddie Mercury Tribute Concert at Wembley Stadium in London. "I don't have the words," May wrote on Facebook. "This year has cruelly taken so many fine people way too young. And George? That gentle boy? All that beautiful talent? Can't begin to compute this. RIP George. Sing with Freddie. And the Angels." Freddie passed away in 1991 aged 45 from bronchial pneumonia triggered by his AIDS diagnosis. Michael came out as gay in 1998 and was an active LGBTQ rights campaigner and raised funds for HIV/AIDS, with his former partner Anselmo Feleppa passing away from an AIDS related brain-haemorrhage in 1993.